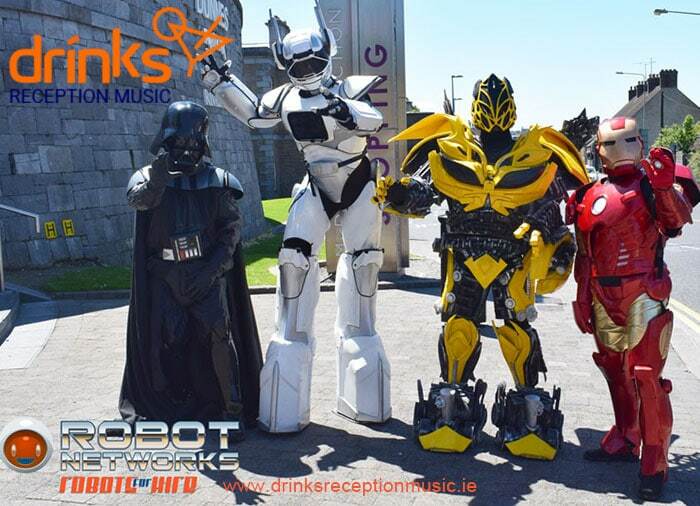 Hire the ultimate fun robot characters for your drinks reception or corporate event. 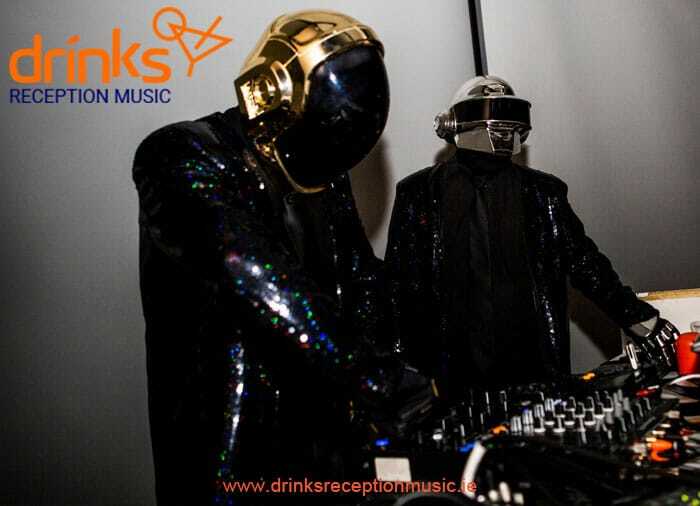 Perfect for Corporate Events, Exhibitions and Private Parties these greeting host robots will simply thrill your guests. These robots stop traffic, will have your guests gasping in awe and will be remembered for a long time after the party is finished. 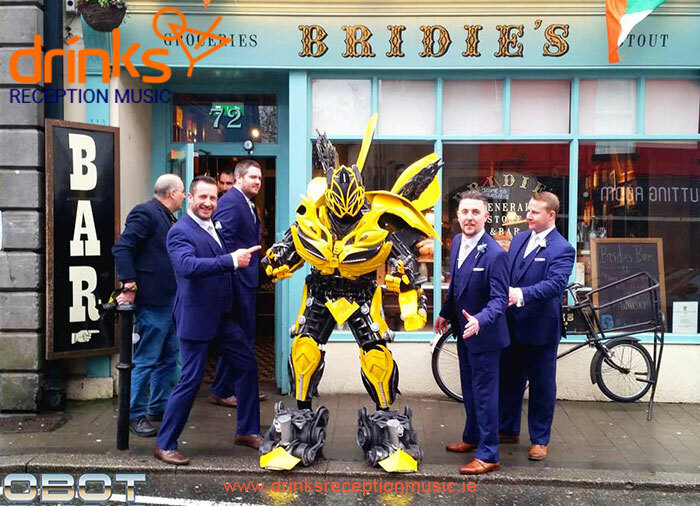 Lots of different characters to choose from like Star Wars, Bumblebee, Iron Man, Bat Man, Daft Punk Tribute, Robot-Ted and Brin the Celtic Warrior. Daft Punk Tribute are a serious DJ Duo that know how to read the crowd and have the ability to fill the dance floor. This duo spend all their spare time in the recording studio perfecting their mixes, these guys are real DJs and no two shows are the same. They deliver a solid pumping set every time and are hugely popular all over Europe for festivals and super clubs playing to crowds of over 5000 people. 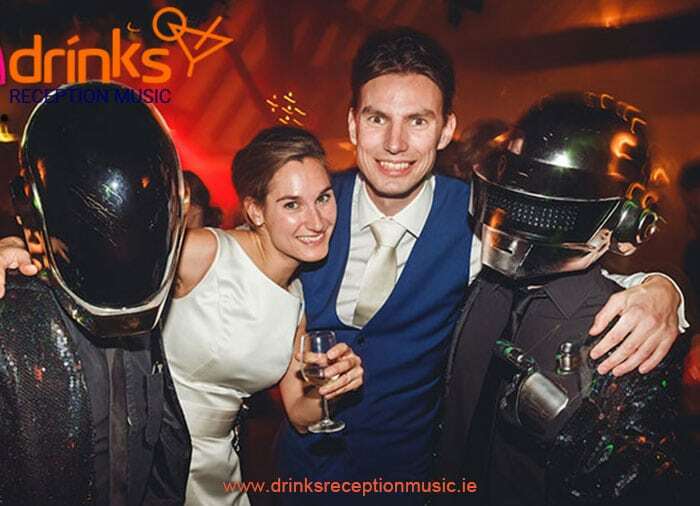 They retune their sets for weddings but it’s still up to one and a half hours of fantastic live remixing of your favourite Daft Punk tunes. 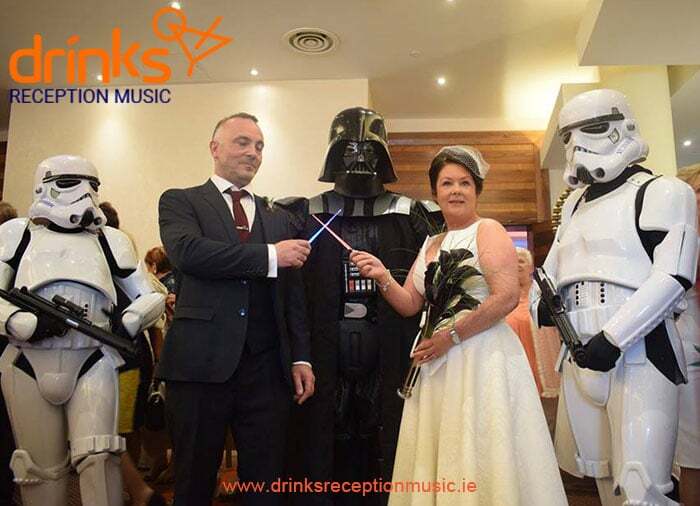 Surprise the Groom with a visit from Lord Vader and his Storm Troopers. Star Wars seems to be getting bigger every year and it’s popularity is massive. 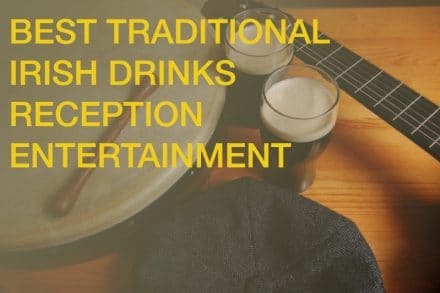 We supply different size fun packages to drinks receptions and weddings nationwide. Star Wars Weddings are in big demand this year, they cause huge fun from the moment they enter the room. Up to 4 Storm Troopers available, choose from Darth Vader, R2D2 with Jedi and a Wookie Chewbacca. Also available are two X Wing Pilots that are digital fire art performers. Contact us on 01 2013660 for details. 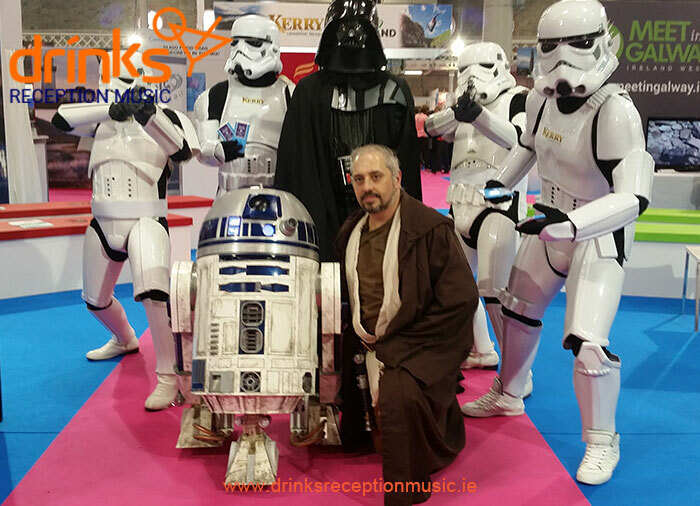 Star Wars inspired drinks receptions with Storm Troopers, R2D2, Chewbacca and Darth Vader. Corporate events will never be the same again as guests just love these characters, everybody wants to get a photo with them and they literly steal the show every time. Nationwide service and different size packages available to suit any budget. 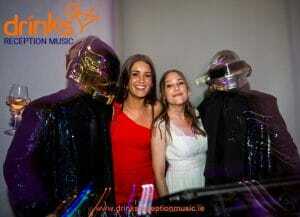 Thanks to all the gang at Dynamic Events for getting Robot-Ted in to cause some mayhem!